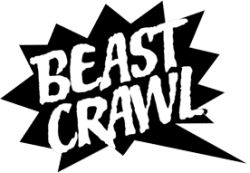 Foglifter goes full beast for Beast Crawl. As queer people repeatedly affirm our humanity, those who wish to oppress us declare our beastliness, claim that we are freaks, bathroom creeps, perverts or monsters. Bigoted rhetoric against the trans community particularly frames the most vulnerable among us as the most threatening. To this we say: we’ll show you monstrous. Queerness is fearsome, magical, chimeric, and precious. Like cryptids we are stunning and misunderstood, and we stand our ground. We're tired of your judgments. Foglifter is a queer journal and press, but more than that. We publish powerful writing, intersectional writing, that queers our perspectives; writing that explores the sometimes abject, sometimes shameful, but always honest and revelatory experience. Nancy Au’s stories appear in FRiGG, Tahoma Review, Lunch Ticket, The Pinch, Beloit Fiction, SmokeLong Quarterly, Forge Literary Magazine, among others. She teaches at CSU Stanislaus, and co-founded The Escapery. Carson Beker is a writer, playwright, storyteller, and cryptid of the genderslippy variety. They reputedly inhabit the pages of Foglifter and small local theaters. Sightings may be reported at www.escapery.org. Latinx writer MK Chavez is the author of Dear Animal, released in October 2016 by Nomadic Press, and several chapbooks. Chavez is co-founder/curator of the reading series Lyrics & Dirges and co-director of the Berkeley Poetry Festival. Her poem The New Whitehouse, Finding Myself in The Ruins, was selected by Eileen Myles for the 2017 Cosmonauts Avenue Poetry Award. Kim Freeman is author of Love American Style: Divorce and the American Novel 1881-1976. She has published in The Long River Review, New England Fiction’s Meeting House, The Bicycle Review, The Bare Root Review, and Prick of the Spindle, among other journals. Currently she teaches writing at the University of California at Berkeley and lives in San Francisco. Danny Thanh Nguyen is a Kundiman and Lambda Literary Fellow. He edited AS IS, an anthology of Vietnamese American literature. His writing has appeared in South Dakota Review, Gulf Coast, New Delta Review, Entropy, and more. Milo Gallagher hails from the marshlands of South Carolina. His poems have appeared in The Grief Diaries, The Fem, Anomaly, and elsewhere. He is an MFA candidate at Mills College.